I have to confess, I have rarely made muffins from scratch in the past several (ten?) years. I don't know why. Before moving to Colorado, I would blame the lack of time. Now I'll blame it partly on the altitude. I worry I'll wind up with flat tops. 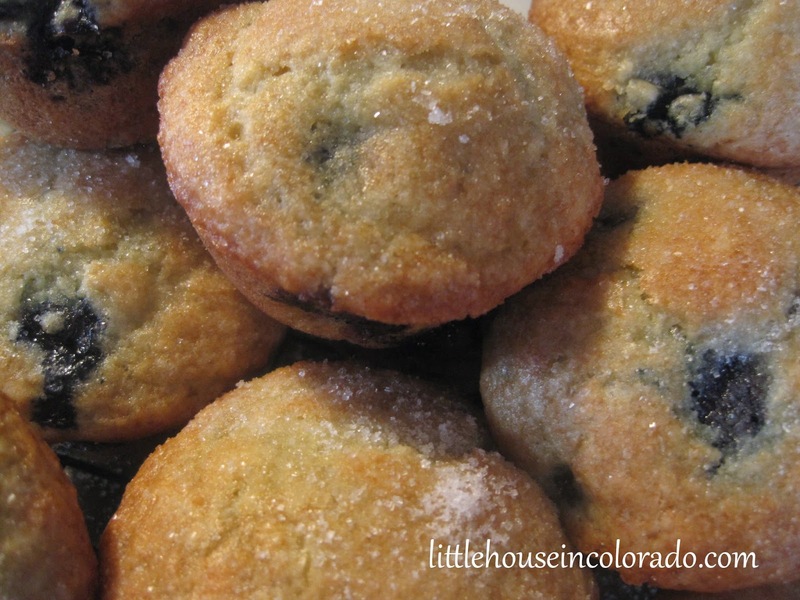 But muffins from scratch are so fast and easy (and YUMMY), flat tops or not! 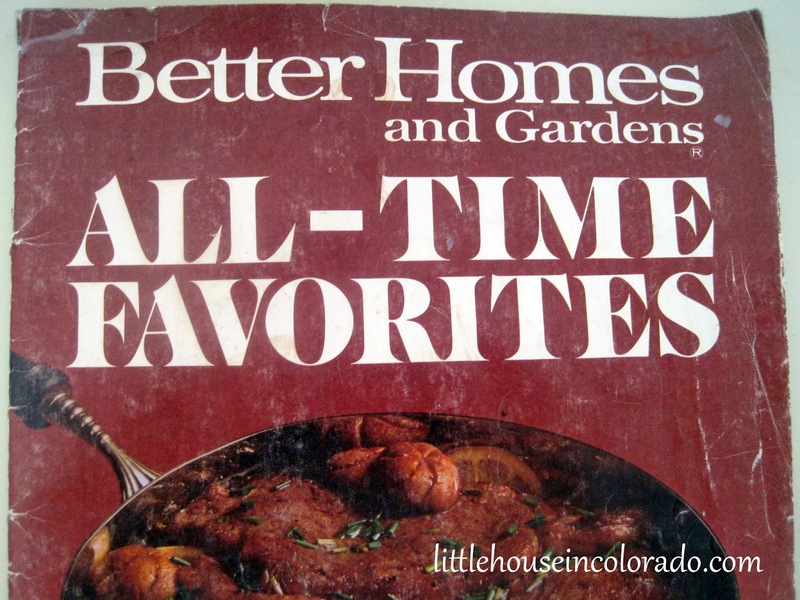 Last week, I was flipping through this old Better Homes & Gardens recipe magazine that I picked out of the free bin at the "Friends Of The Library" bookstore. It was published in 1971. 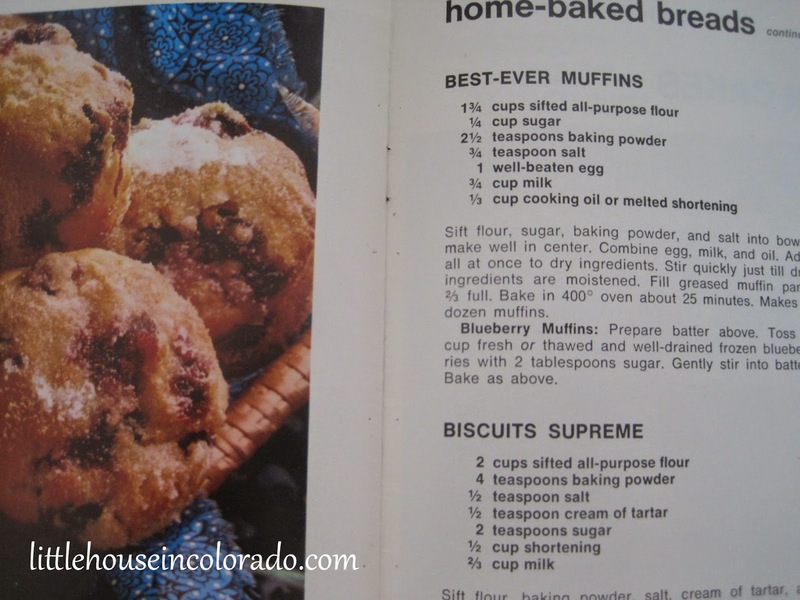 Some of the images look as unappealing as the 70's themselves but I found lots of great recipes to try - one of which was the "Best-Ever Muffins". You can see the original version above in the picture. 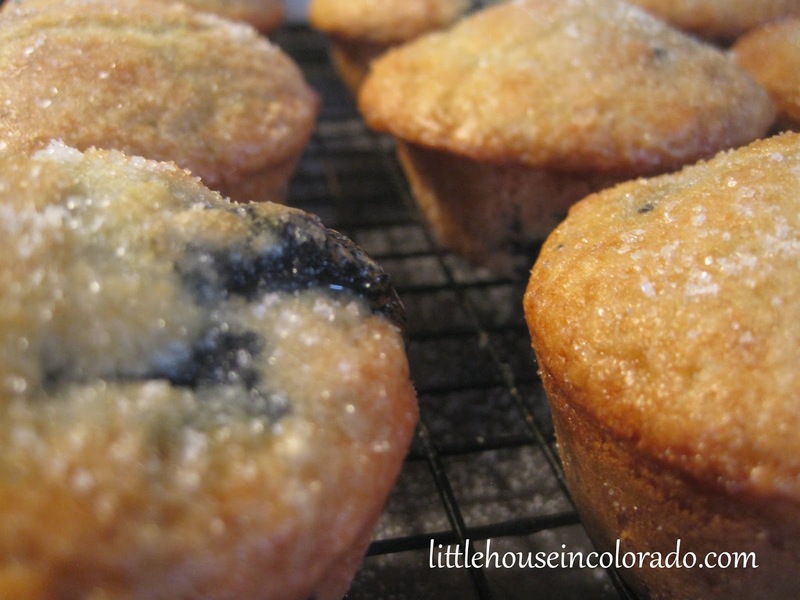 I used the option for blueberry muffins and made a couple changes - most notably the oven temperature (because of the altitude). The 375°F oven temperature worked for a 6000 ft altitude. A 400°F oven would have resulted in very overdone muffins. Grease and flour a 12 cavity muffin pan (or use baking spray). Preheat oven to 375°F. Sift flour, 1/4 cup of the sugar, baking powder and salt together into a bowl. Combine the butter, vanilla, egg and milk in another container. Add liquids into the dry ingredients all at once and stir until just blended. In a small bowl, toss the blueberries with 2 Tablespoons of sugar. 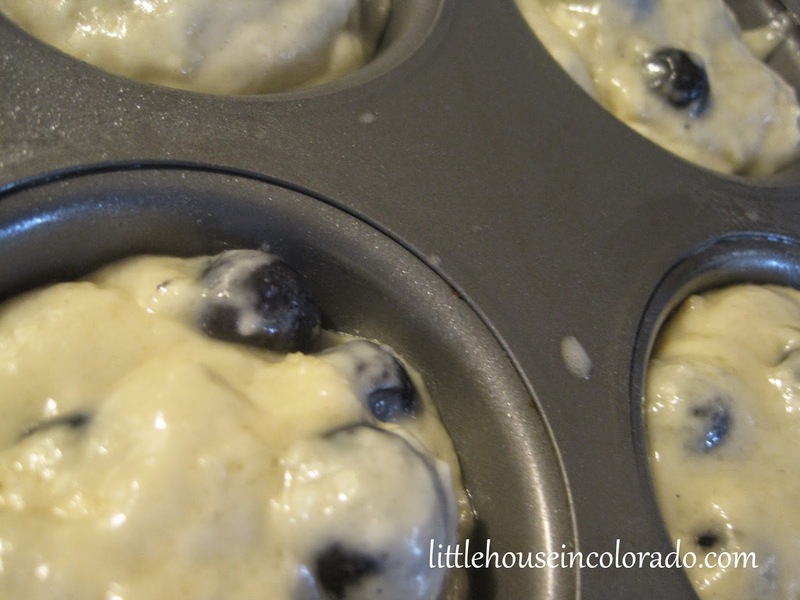 Fold the sugar-coated blueberries into the batter. Fill greased muffin cups 2/3 full. Bake on center rack until golden - 20 to 25 minutes (I bake mine for about 25 minutes). Optional - Dip the tops of baked muffins in melted butter and sprinkle with sugar before serving. I really like these muffins. I must say that after years and years of muffins made from pre-made mixes, the most noticeable difference was the lack of "sweet". Don't get me wrong, they are plenty sweet, but they aren't nearly as sweet as muffins made from a pre-packaged mix. These muffins had more flavor. And of course the fresh (an even frozen) blueberries are a HUGE difference from the dehydrated "blueberry flavored nuggets" found in those store-bought mixes. I think I'll try the same recipe with different add-ins. Perhaps pear and cranberry or applesauce and cinnamon and of course banana and walnut, though The Girl may protest because she can't eat nuts with her braces.